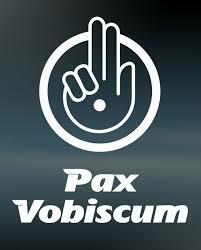 One of the things I miss the most about my Catholic days is the saying "Pax vobiscum" which is Latin, of course, for "Peace be with you," and the response is "Et tu spiritu tuo." "And may the spirit be with you also." The truth is that the Peace of God is always with us yet we are distracted, pre-occupied, and lose our faith in it. Nowadays, there is a greater awareness that the Peace of God dwells within and among us and we can tune into it if we are mindful and so mindfulness has become increasingly popular. What mindful practices do you find helpful, Lucy? I find myself, increasingly, turning off the radio when I am driving in the car, and avoiding my screens just so I can quiet all the chatter which runs in my mind like the hamster in the wheel. I just watch and allow myself to laugh at the nonsense that I have allowed to take over my awareness. I am reminded of my niece who would get anxious and upset in third grade and her teacher would tell her to take a "chill pill." We used to joke about what her "chill pill" consisted of and even make up a little recipe book for what kinds of coping tactics made up her "chill pill". We discovered in doing this project that she had more than one type of "chill pill." 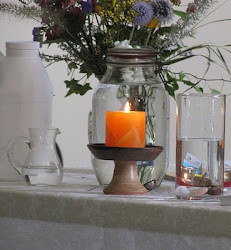 Chill pills are good tools for restoring our faith and experience of Peace. You usually tie your letters to the seven principles of UU. I noticed you didn't do that this time. Is there a principle or two you could tie this article to? Thanks for your question. There are many principles which pertain to this article on being mindful and wishing that people find peace. The immediate principle would be the third about encouraging one another to achieve spiritual well being. 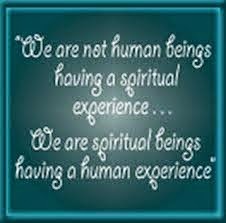 I think the first principle also is pertinent in that we recognize the divine spark in every person and encourage their awareness of the heaven within. The question behind your question might be what is this thing we are calling "Peace" which we are wishing joins with people's awareness? This peace being referred doesn't have to do with justice or the absence of war but rather an awareness of heaven, what ACIM calls the Holy Instant and I call flow.